Sweet Start – Be in the Moment! Today is the last day of a three and a half week dance festival that the girls have been competing in. 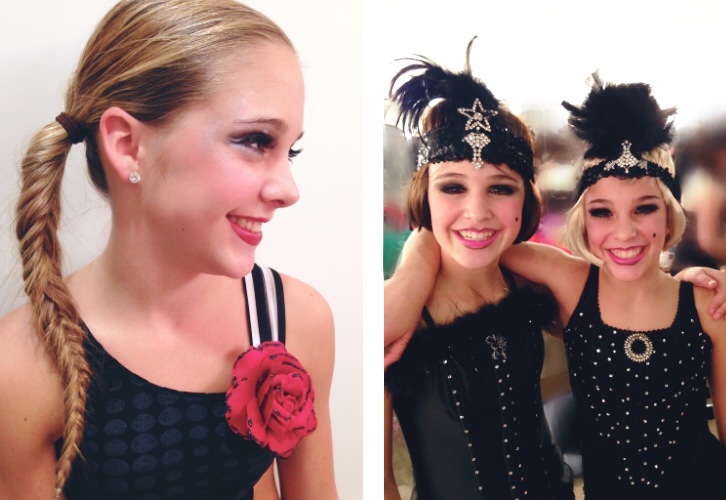 I love dance competition season, but I find that I’ve been getting more and more nervous when the girls perform. I’m talking like sweaty palms and heart pounding as I’m sitting in the theatre. It makes me so mad at myself….what good does it do for me to get nervous? In fact, my nerves just create tension in the dressing room when trying to do hair (I am NO hairdresser, trust me!). And when they are not performing, I’m stressing about scheduling for the next day…who’s picking up who from school, how’s Mac getting to hockey, getting costumes and meals packed…oh, and fitting in time to write blog posts! 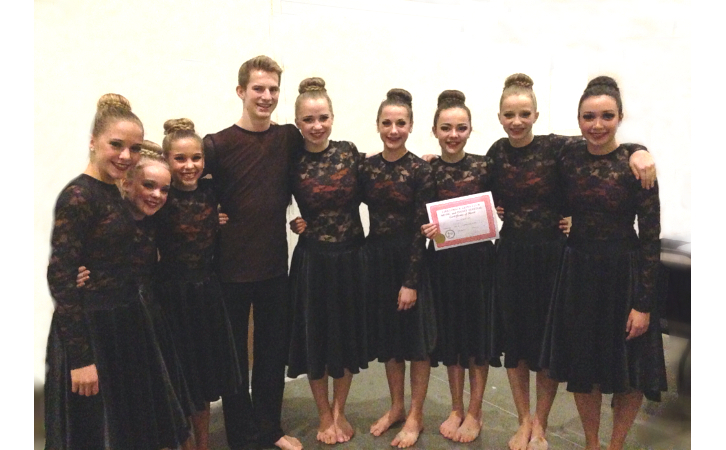 Berks and Dyl’s lyrical group “Embers”…such an emotional dance and a beautiful group of kids inside and out! I was talking to some other dance moms…ok I hate that term cause it makes us sound like crazies….some other dancers’ moms…that’s better…and I’m not alone. We all shared how we get awfully nervous when our girls perform their solos. Why? Maybe because it’s an individual sport. Maybe because we know how hard they’ve worked. Maybe because we want so desperately for them to feel good about their performance! One mom relayed a thought that another mom passed along. Her daughter is graduating this year and each time she performs, she realizes that her daughter is one dance closer to her final competition as next year she’s off to university. She encouraged us to just be in the moment….to enjoy and take in each performance!!! 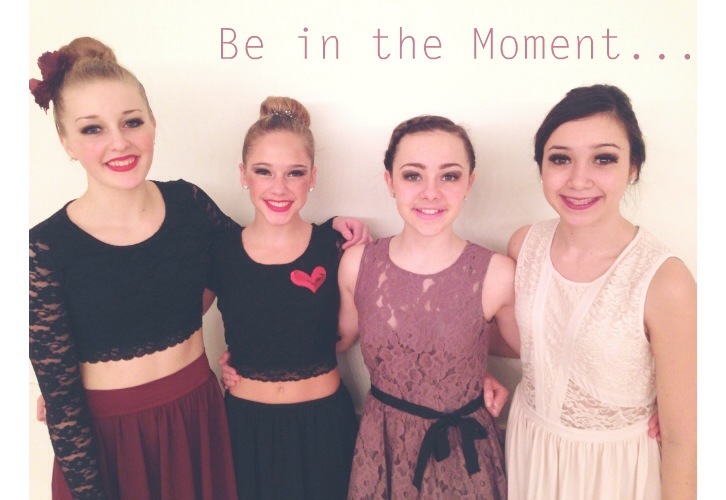 And a friend sent Dylan a text this week right before she competed and it said….Remember to be in the moment! Berks amazed us with her contemporary solo. Dyl and Nina’s tap number was super entertaining! Be in the moment…..that really has struck a cord with me. It’s a conscious decision. To block everything else out. To soak in each moment. To be there to celebrate the successes and give tons of hugs when the tears come. Whether it’s watching the girls dance, cheering my heart out for Mac on the ice or simple enjoying dinner together as a family, I don’t want to miss out on those moments. This week I’m going to work to recognize and take in the special moments! Happy Monday!